Yesterday Viva SGV arrived to the cities of El Monte and South El Monte. 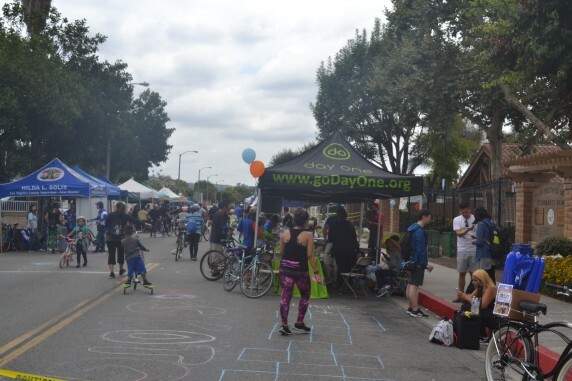 Sponsored by Metro, Viva SGV was the longest open street event in the San Gabriel Valley, for a couple weeks at least until 626 Golden Streets. 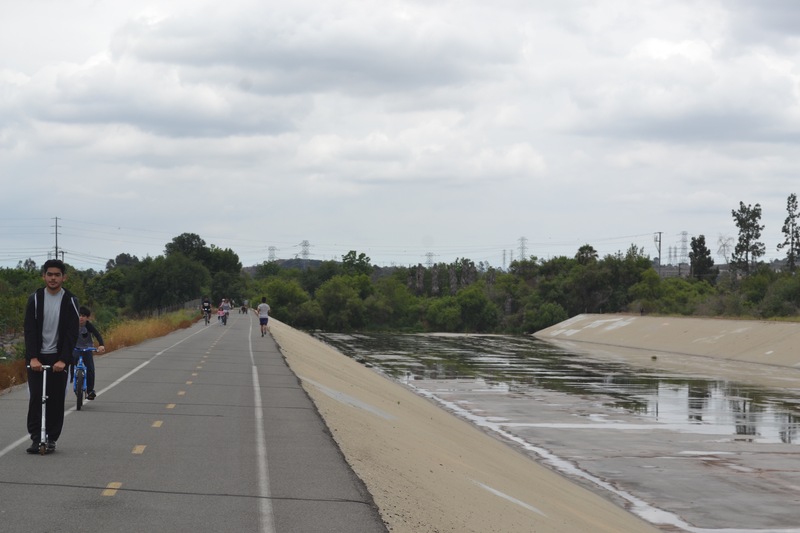 The 5-mile loop brought a buzz of activity to city parks, wide lane boulevards, and the Rio Hondo Bike Path. 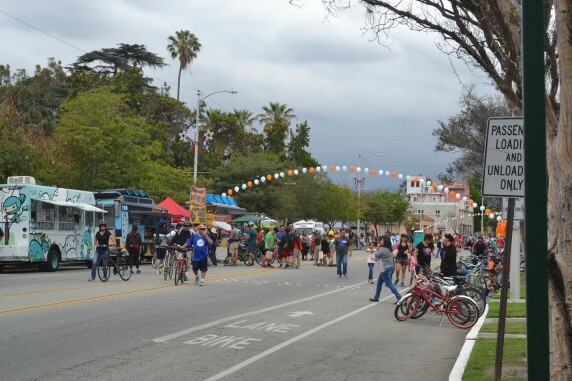 Despite the morning being slightly overcast, families and children filled major community hubs while enjoying the plentiful food trucks, live concerts and bounce houses among other neighborhood activities. 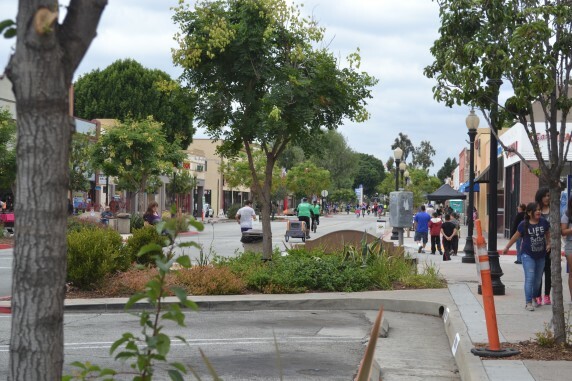 The event showcased a variety of street-side scenery ranging from the Rio Hondo river corridor, El Monte Valley Mall shops, community churches, and wholesale supply storefronts. 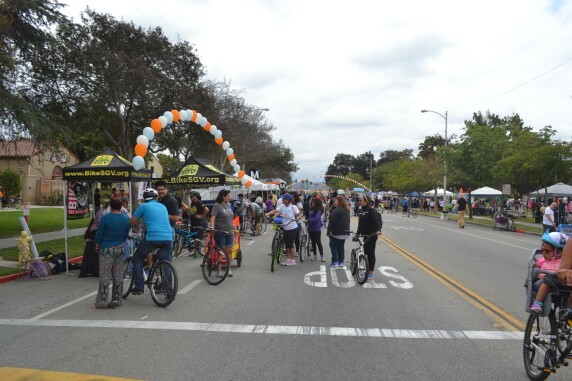 The open streets event, as expected, was friendly and welcoming to cyclists with free bicycle valet service and bicycle check-up service courtesy of Bike SGV. 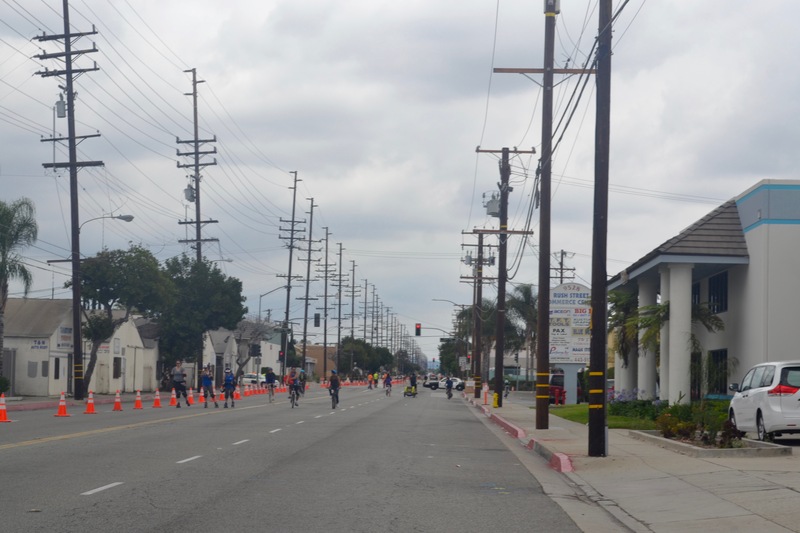 As a newcomer to L.A. open street events, the neighborhood street activity and scenery across delighted me at every turn. It was a common sight to see families enjoying popsicles and ice cream curbside outside many storefronts. 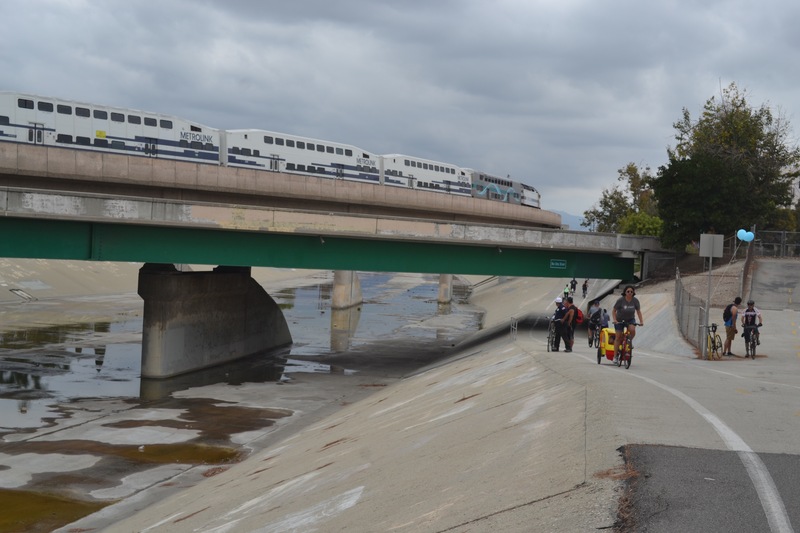 The route was a 5-minute walk from the El Monte Metrolink station. Streets were clear of car traffic due the diligence of friendly traffic officials staffing each of the 8 intersection crossing points. 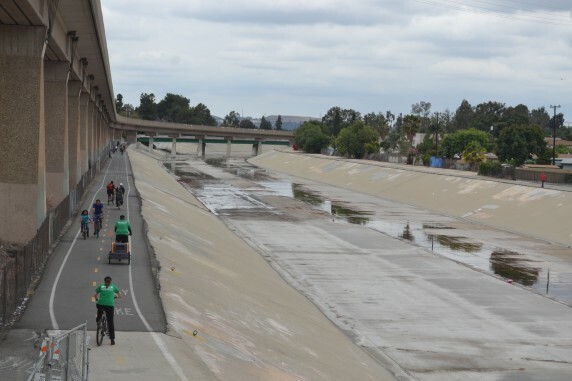 Just one 5-mile loop brought a pleasant blend of bustling community hubs, wide-open boulevards, and snaking Rio Hondo bikeways – diverse scenery that accentuated the civic and familial benefits of bicycle-friendly streets across the San Gabriel Valley’s multiple land-uses and landscapes. On a more personal note, (and a shout out to eager parents!) seeing the route’s many children enjoy the open-streets on a warm overcast afternoon was a pleasant reminder of my past parent-led Sunday excursions to New England bike paths, memories that I still cherish and am grateful for today. 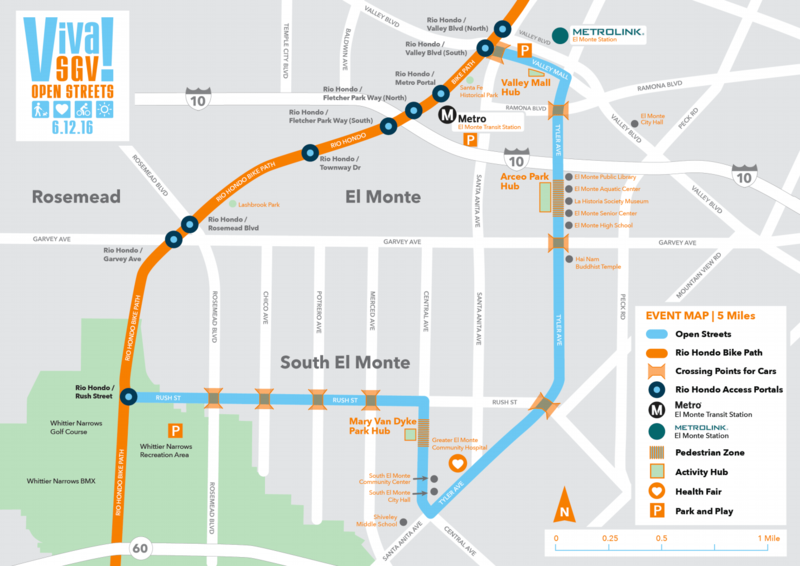 The El Monte Metrolink station was just a 5 minute walk from the route, which includes the Rio Hondo bike path. Multi-modal transportation in action. Readers – did you attend Viva SGV? What were your impressions? SBLA coverage of San Gabriel Valley livability is supported by Foothill Transit. Foothill Transit has been a leader in sustainable transportation for years. And now they’re committed to having a 100% electric bus fleet by 2030. To celebrate, Foothill Transit is giving away prizes and sharing facts about how their electric buses help clear the air. Visit Foothill Transit’s e-bus sweepstakes webpage to see how you can join in the eco-friendly fun! The hubs were full of activity, but the wide streets between them were nearly empty in places. The music was great, the people friendly – and the frozen yogurt and Mexican food (from local businesses) were delicious. I was impressed with the scale of Valley Mall (street) which has an excellent Main Street scale. I walked the event with my daughter. Started at Garvey, down past Central, then back-up to the festivities north of Garvey. Ok event, may have been better attended if not for the weather. 1) At no similar event have I ever seen so many law enforcement vehicles (appeared to be primarily LASD) driving up and down the route or allowing vehicles along the route to drive through. As a ped with a child, this made me somewhat uncomfortable and seemed to be happening every 5-10 minutes. 1) Land uses along Tyler left a lot to be desired and I think contributed to the “dead” feeling along the route. Businesses and people would have made for a more attractive and inviting route. Looking forward to Golden Streets. The Asian American Bike Tour was a great success! 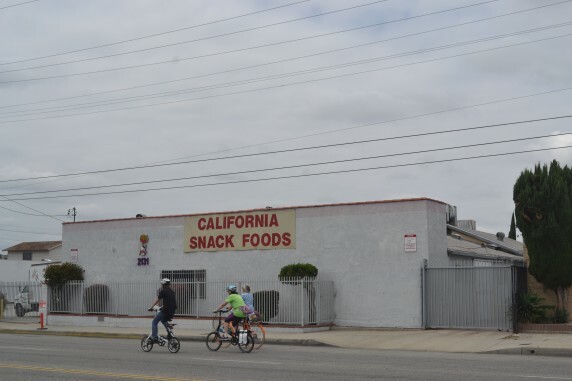 After the East San Gabriel Valley Japanese Community Center’s Taiko performance at Arceo Park, we toured through El Monte and South El Monte to learn more about new developments impacting the community and share the uncharted Asian American history of the two cities.